Cleanse Vs Detox – What Is The Key Differences and Why? Detoxing has become popular recently and generally involves drinking teas or consuming supplements that act as diuretics or laxatives. These can cause you serious health problems if used in the long term and have been used to fool people into thinking they’re losing weight. In reality, products like this tend to have no effect on burning fat: the scales only go down because you’ve left all your weight in the toilet bowl! How is Isagenix cleanse different? Isagenix products don’t aim to detox: detoxes are unstable, unsustainable and dangerous to your health. Rather, Isagenix cleanses aim at providing you with the highest-quality nutritional support to provide you with gentle digestive support and all the nutrients your body needs. Our products are specially-formulated to ensure that your body is given complete support so that you can lose fat and gain muscle the healthy way, with no diuretic or laxative products. This means that your weight loss with Isagenix is based on fat loss, rather than dehydration or accelerated pooping! Ours cleanses rely on a combination of two amazing products: cleanse for life and IsaFlush. Cleanse for life is a digestive support and nutrient drink aimed at providing your body with the essential vitamins and minerals it needs to stay healthy and perform at its best, with additional digestive health benefits from a mixture of fantastic berry extracts. IsaFlush is our approach to the traditional cleanse, with a healthy, gentle digestive support tonic to combat bloating and improve gut health without harsh laxatives! Not only are our cleanses totally healthy and safe, but they provide you with some of the most important nutrients and plant extracts to ensure maximum health benefits while also boosting fat loss. 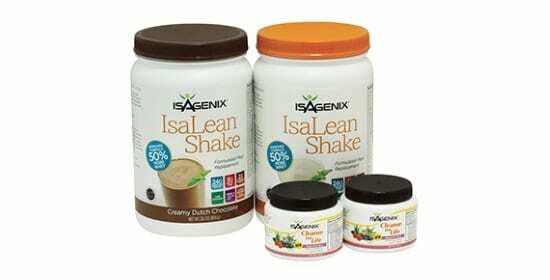 If you’re looking for an all-natural product that provides an amazing combination of health-promoting fiber, vitamins and minerals, as well as increasing your metabolism and energy, the Isagenix cleanse is right for you. This healthy approach has tons of benefits to your body. First of all, it is a totally safe approach, meaning no side effects or long term health problems! This also means that our cleanse system is sustainable: whereas you can only take other supplements for short periods of time, Isagenix cleansing is fine for long-term use to ensure that you continue to lose weight quickly for as long as possible. This nutrition-based approach also means that our cleanse products contribute to overall health and fat-burning. Whilst detoxes tend to produce short-term weight losses, but do nothing for fat, our cleanse provides short-term weight loss by combatting bloating, but also helps with the fat-burning process so that you see improved results. You don’t want to lose weight: you want to lose fat! The health benefits of an Isagenix cleanse are huge: our cleanses regulate metabolism, combat diabetes, reduce cancer risk, boost fat loss, keep your energy levels high, support organ health and combat bloating all at once! This is why we believe in a “bottom-up” approach to health and fitness: begin with diet and nutrition and everything else is easy! This is why our cleanses focus on health – dietary supplements should aim at healthy weight loss and longevity, rather than quick sales, unsustainable changes or questionable ingredients. The supplement market is saturated with low-quality detox products, which is why we’ve released our cleanse protocol to ensure that you are able to get the very best digestive and nutritional support. 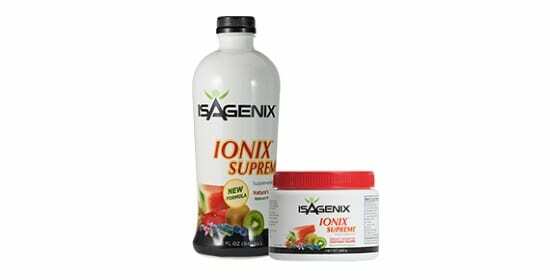 With all the long-term benefits of dietary support and the short-term benefits of “detoxing”, the Isagenix cleanse is a total solution to kickstarting your weight loss and giving yourself the very best chance to succeed.